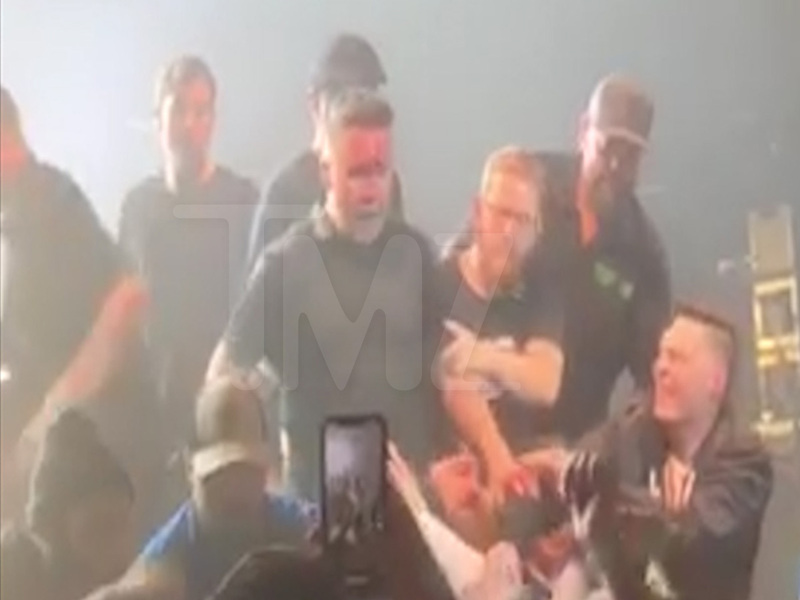 Dropkick Murphys stayed true to their name when one of their own got into a bloody fight with a fan … and then came back for more!!! The famous ’90s Celtic punk band was performing Friday night at the House of Blues in Boston — when, at one point, bassist and singer Ken Casey handed the mic down to a fan in the middle of a song for some help singing it … but the favor wasn’t returned. Eyewitnesses tell us the fan refused to give the mic back to Ken, who became irate and got into a spat with the guy in the front row. The footage here captures what happened right after that initial scuffle, which clearly left Ken bloody on his face. Welp … Ken wasn’t finished just yet — after he got yanked back onstage, he dove right back in for seconds, despite his bandmates trying to hold him back. We’re told the unruly fan was eventually escorted out, and Ken got bandaged up backstage before returning to the spotlight to finish his set. No arrests were made. All the meanwhile, another member of the band quickly explained why Ken got so pissed … adding that his reaction was nothin’ new. Apparently, Ken’s been in a few rumbles in his day, including this time from 2013. His bandmate had some advice on how to avoid that. Warning … don’t disrespect DKM in THEIR house.